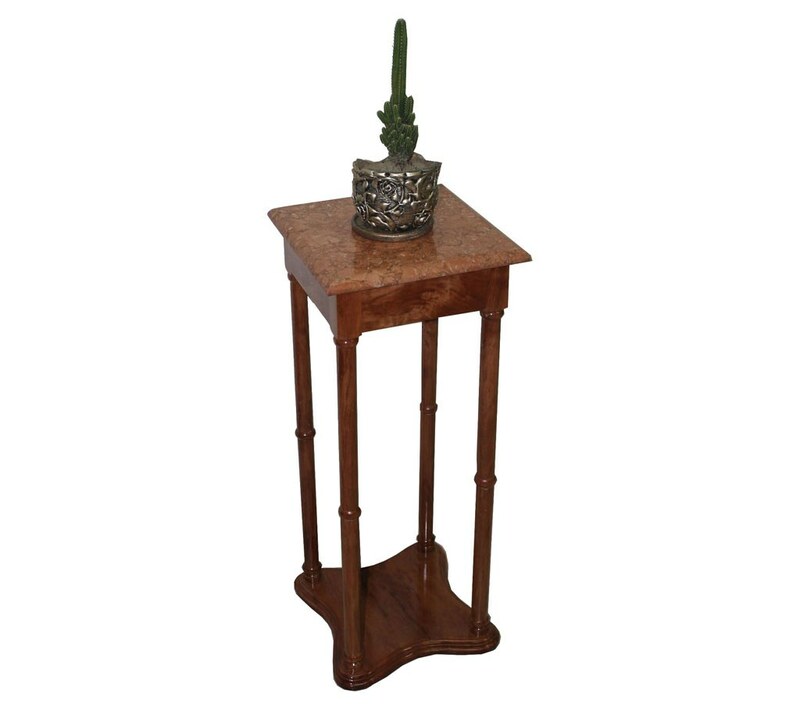 Plant Stand Material: Lychee Wood and Marble Color: Natural (Sayerlack PU Clear Wood Paint) This Plant Stand made out of Lychee wood which is highly dense allowing to take an incredible natural polish. This plant stand with marble top is a graceful item for any home of office. It will motivate you to keep fresh flowers or plants in your living or work space. Though it is intended to be an indoor plant stand, this piece could possibly showcase art, photos or a lamp, while still providing space below for a small plant. It is also versatile enough to be utilized as a phone stand. This will be something for those who like plants. Try to see if you are one of them and take a look at the designs, shapes and sizes that have inspired a lot of people. The choice shouldn’t be that difficult, especially after considering the available models of these wooden plant stands.